An official groundbreaking ceremony for a new 220,000-square-foot, $105 million expansion in the Primary Children’s and Families’ Cancer Research Center at Huntsman Cancer Institute (HCI) at the University of Utah was held recently. 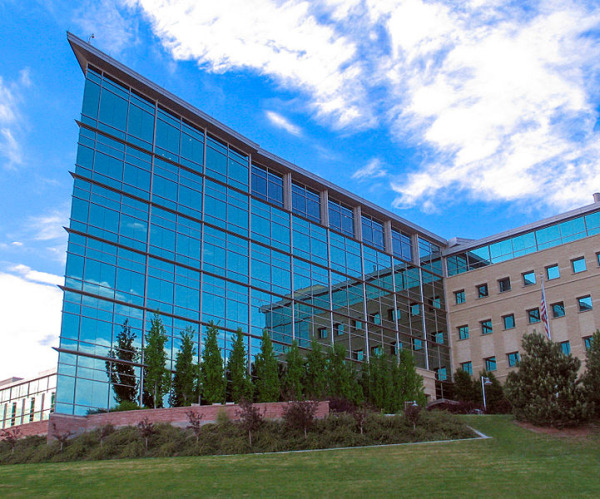 The construction is slated for completion in 2016 and is doubling the research space within the Huntsman Cancer Institute. The new cancer research center will include a number of research laboratories and a biotechnology centers with the latest advanced genetic sequencing and imaging equipment. This new expansion aims to bring together the most innovative scientific minds with leading edge technologies. The new research facility will help researchers accelerate cancer research discovery to reduce the burden of cancer. The first phase is the Jon M. Huntsman Research Center, which comprises 231,000-square-foot with three floors of research labs and a floor of outpatient clinics. It was completed in 1999. The second phase is a cancer specialty hospital, which comprises 286-square-foot with 50 inpatient rooms. It was opened in 2004. The third phase is a 156,000-square-foot expansion to the cancer specialty hospital with 50 additional inpatient rooms. It was dedicated in the fall of 2011. Biotechnology Calendar, Inc. pays its visit to the University of Utah to help laboratory supply companies connect with such a richly funded marketplace in the BioResearch Product Faire™ Event. The next BioResearch Product Faire™ Event is on October 23, 2014. 45 were purchasing agents, professors and post docs. These attendees came from 18 different research buildings and 32 on-campus departments. If you are a laboratory supply company, the Utah BioResearch Product Faire™ Event on October 23rd provides an easy and effective scientific branding and research networking opportunity for you. You can take advantage of this event by demonstrating your products and services and deliver a lecture to academic researchers while enjoying a delicious catered lunch with them. If you are interested in exhibiting in the BioResearch Product Faire™ Event at the University of Utah on October 23, 2014, please click the button below for more information. Each year Biotechnology Calendar, Inc. organizes nearly 60 events at different institutions across the nation. Please read the National Schedule Show for 2014.